Whether we buy jewelry for ourselves or it comes as a gift, it always leaves us with two thoughts: how beautiful gemstones are, and where we could wear them. Sometimes, it is a trial to wear jewelry out, as we want to wear it just right and do these beautiful stones justice. 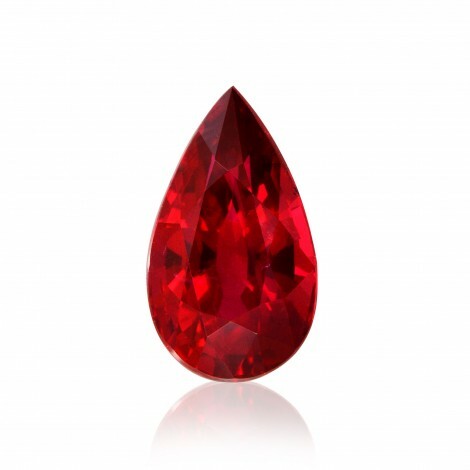 When it comes to the deep red of rubies, this mission is especially trying. 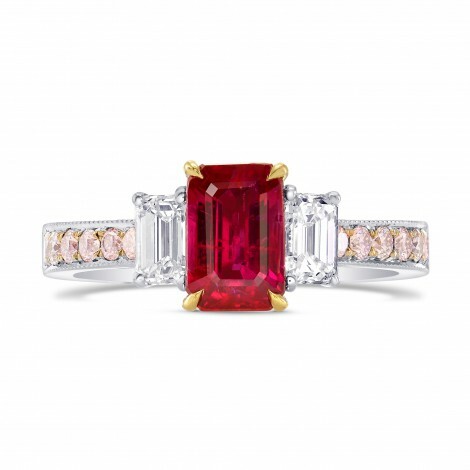 One of the most popular ways to wear a ruby is on your finger. If you aren’t sure which colors go well with the variation of ruby that you have, check out the color wheel: the colors on either side will work with the color in the middle. Rubies vary from a sweet pink to a deep blood color, so you can also look how these colors coordinate with others in nature. Green often accents pink rubies well. When it comes to customizing ruby gemstones to jewelry, you can choose either silver or gold without sacrificing the beauty of your rubies. Seasonally, we understand that different gemstones, styles, and outfits go in and out of fashion. However, if yourradiant loose ruby gemstones make you feel beautiful and empowered, wear them as boldly or discreetly as you’d like. Never go without the accessory that makes you feel your best and brightest. It can be said that the beauty of rubies transcends any one style: whether you go to black-tie events often or love the jeans and a tee combination, you should wear your rubies with confidence. If you do have a more sophisticated style, larger ruby rings that are also encrusted with diamonds, which will go well with dangling ruby earrings and a deep red bag. Remember, you can never go wrong with a ruby ring and a little black dress. In summer, you can sport a ruby-encrusted watch band. If you are low-maintenance and only wear sports shorts and a cute top with sneakers when the weather warms up (or all year round), you can go with a pair of small, round ruby earrings and a simple ruby-encrusted ring. Whether you are going to a wedding or need something shiny to turn jeans and a blouse into something gorgeous, rubies are there for you. There are a few colors to choose from when choosing to pair your rubies with your outfit. Choose a little black dress; if you go strapless, a silver necklace with a small ruby willn really stand out. Or, match your darker rubies with a velvet ruby long-sleeve dress. Avoid white tops or dresses for the larger pieces. When you are wearing a little white dress, choose a smaller ruby ring or round, small ruby earrings. If you are wearing rubies to your wedding, choose a bold, ruby-encrusted statement piece to make a bridal gown shine even brighter. However you choose to wear your rubies, always wear them with style and confidence. Whether you have more refined taste or your rubies are the prettiest thing you own, make sure that these red lovelies are worn with dignity.